One of the longest running online casinos in the world, 32Red has emerged as a consistent award winner. 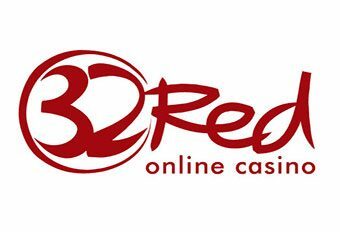 10 times winner of Casinomeister’s Best Casino award, winner of Casinomeister’s Casino of the Decade and winners of eGaming Review’s 2011 Casino Operator of the Year, 32Red is one of the most well-respected and trusted online casinos in the market. The casino is listed on the London Stock Exchange as of 2005 and a licence is held in Gibraltar. Established in 2002, 32Red aims to give players the most exciting and thrilling gaming experience possible. A casino offering the best online casino games powered by industry leader Microgaming, 32Red doesn’t concede in quality when it comes to its choice of game. One of the first casinos to offer mobile play, players can play real money casino games on their mobile devices. 32Red offers over 500 online casino games for players to choose from, demonstrating that there is something for everyone. Games range from traditional card and table games to video poker, progressive jackpots and slots. The most popular game in this casino are video slots, players can enjoy Mega Moolah, which regularly holds jackpots of over £1 million or they can enjoy themed video slots such as Game of Thrones. Using prominent industry software developers Microgaming, players are treated to some of the best graphics available. Players can enjoy the games through a downloadable program that contains a wide range of choice, or they can play the Flash casino which is accessible via a web browser and, although this has less selection than the program, it still contains a significant number of games. 32Red offers unique promotions, including welcome offers for new players and a range offers for regular players. There is a page on their website focussed on promotions and bonuses where all current offers can be found. Players who register gets £32 free for every £10 deposited. 32Red accept a variety of different payment methods including MasterCard, Visa, Paypal and Skrill. The casino protects all sensitive information with an SSL encryption, and is one of the most secure gaming establishments on the internet. 32Red prides itself on its fast and hassle-free withdrawal process. Additionally, all games on the casino server are continually under auditing by third parties, ensuring that they are fair and confirming that complete transparency is made between them and the player. In early 2013, 32Red topped an independent customer service audit beating 15 major casino brands, meaning its customer service is greatly admired within the industry. Players can contact 32Red’s support services at all times as a 24/7 service is offered. A live chat option is the most popular method of contact. However, if players still have issues, 32Red has four different email addresses to narrow down concerns, removing the need to send emails to a generic “help” address. The casino is one of the first to use Skype instant messaging to players either through text or via a call, reinforcing the idea that no other casino has the same level of support as 32Red.